(Newser) – Empire actor Jussie Smollett will have a whole new kind of audience on Thursday: He faces a bail hearing after turning himself into police, reports CNN. 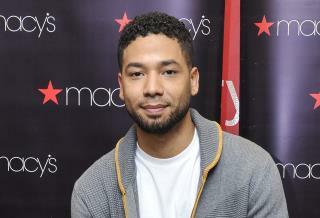 Smollett "is in under arrest and in custody of detectives," tweeted Chicago police spokesman Anthony Guglielmi. The bail hearing is set for 1:30pm local time. Authorities charged Smollett on Wednesday with making a false police report, a felony charge that could bring up to three years in prison and force the actor, who is black and gay, to pay for the cost of the investigation into his report of a Jan. 29 beating, per the AP.